We’re witnessing a sea change in PC games pricing. Steam sales utterly crushing retail pricing or sites like Green Man Gaming offering steep discounts on pre-release AAA titles seeminlgy reverse the historical trend towards higher pricing. As the cost of making big titles rises, publishers look for ways to eke out more dollars out of buyers through DLC, episodic releases, and “season passes”. Gamers now have options instead of needing to give in to the classic, full-price pre-sale. While discount sites are great, waiting has its merits — all three Mass Effect games can now be bought for just $30. Steam sales are legendary, bringing gamers to a veritable feeding trough of low-cost, excellent games. Can publishers survive — and even thrive — in today’s highly variable pricing world? Eric and I discuss the changing face of game pricing, selling games, and what the future holds in store. And, as is almost always true these days, Microsoft is late to the party. 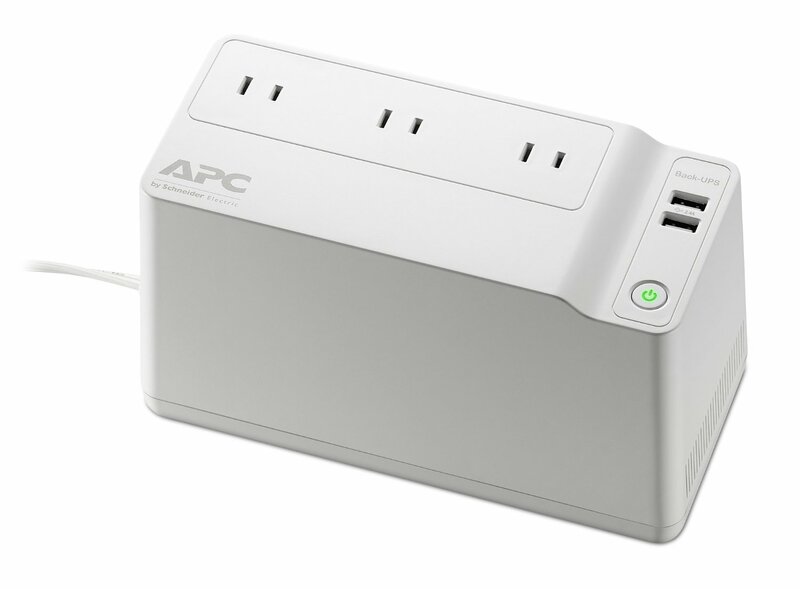 The APC BGM90 UPS offers battery backup for routers and gateways. I’ve got an uninterruptible power supply (UPS) on my main production system, but recently added a purpose-built APC BGM90 UPS. My Internet gateway, router, and gigabit switch connect to the BGM90, which supplies power filtering as well as battery back-up. If a power failure occurs, the BGM90 also includes two USB ports for charging mobile devices, as well as keeping the gateway and wireless router alive. And it cost me only $25 on sale. Did you know you can now buy a 40-inch, 4K UHD (3840 x 2160 pixels), complete with IPS panel supporting 60Hz refresh over DisplayPort, for under $550? Korean company Yamasaki comes through. But if buying a display direct from Korea worries you, Philips offers a similar monitor in its 4065UC for under $800. Eric and I both like our big 21:9 displays, but 40-inches might make 4K usable on the desktop. Amazon’s also announced its Echo Dot, which I’m calling the Baby Echo. 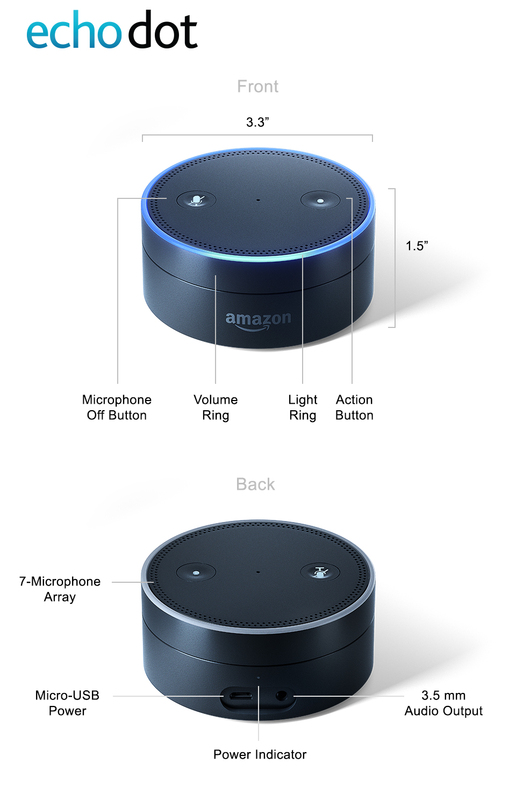 Essentially an Echo without the bigger speaker, the Dot fits into a lot more places than the full-size echo, allowing you to have voice control of all kinds of things, from smart home lighting to music to kitchen timers. Eric’s already ordered one, and I’m thinking about it pretty seriously. Way back near the dawn of the Kickstarter era, Crate Entertainment kickstarted an action RPG in the Diablo mode called Grim Dawn. Grim Dawn 1.0 is finally out now, and it’s pretty darned good — although stability is problematic in multiplayer. If you want a little different spin on the ARPG, take a look. I just wrapped up the third novel in Patrick Weeke’s Rogues of the Republic Series, The Paladin Caper. Think of the series as Fantasy Adventure Meets Oceans 11, and you’ve got the right idea. It’s not heavy literature, but the pages keep turning as you try to keep up with how Weeke’s gallery of rogues will pull off another complicated caper. I finally saw Deadpool, and while I enjoyed it well enough, I can’t gush over it like Eric did last week. But it’s definitely a neat twist on the superhero movie. I also finally caught up on Star Wars Rebels. What seemed like purely a kids show through season on is growing on me, as the writing and character development gets deeper in season two. Oh, yeah, and this little movie, Star Wars: the Force Awakens, will be out on DVD on April 1st, with Blu-ray following a few days later on April 5th. I’ve got my preorder in; do you?